We hope the children enjoyed their visit to their Year 2 class this morning. We have another busy week ahead next week which will include some more visits to Year 2 which will help the children get to know their new teacher, class and classroom better. In our Literacy and topic lessons this week we will be continuing our work on Captain Cook and learning about his voyages around Australia and into Antarctica. In maths next week we will be doing some shape, space and measure work. Sports Day will be held on Thursday 6th June. Children can come to school on this day wearing their PE kit with trainers and a t-shirt in the colour of their class team. The activities will begin in the afternoon at 1.15 with the final races at around 2.15. You are welcome to come and support your child. Please could you ensure that your child has a sunhat and water bottle for sports day and ensure that sun cream is applied before school. Should you wish to reapply sun cream to your child for the afternoon, please feel free to do so once we have come out onto the field and the children are lined up ready for their activities. Fingers crossed for suitable weather conditions! In maths we are going to go back to revisit work on finding a half and a quarter of shapes and quantities of objects. We will then move on to simple sharing problems e.g. If I have 12 sweets and share them between 3 friends, how many will they get each? Children will be able to use practical objects to work out the answers. Lots of children are making good progress with their Rainbow Maths Targets. Please continue all the great practise that you have been doing at home. Infant sports day has been rescheduled to the afternoon of Thursday 6th July. All of the arrangements will remain the same as previously stated. Please could sponsored swimming forms be returned to school before your child’s swimming session. If you are able to help to count lengths then please let your class teacher know. 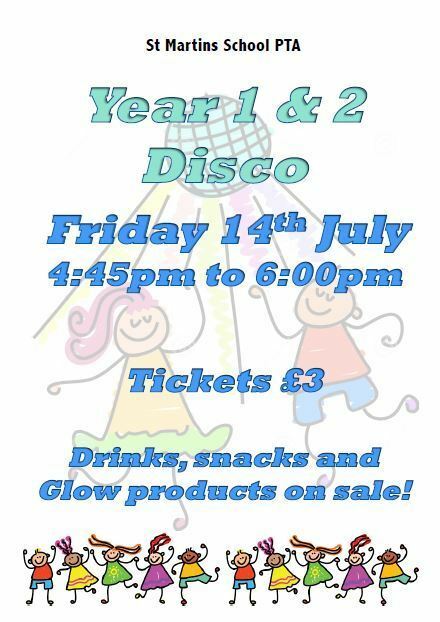 The PTA have organised an infant disco on Friday 14th July. If any parents are willing to help out at the disco, please could they email merylsnedden@gmail.com or text on 07781 414270. Over the next 3 weeks children will be spending a number of session in their new class groups with their new class teachers. We hope that this will help their transition to Year 2. The children have had an epic week this week and have had fun trying out different activities each afternoon. We hope you have enjoyed hearing about what they have been up to! Next week we will begin to start our topic unit on Captain Cook. We will be teaching this as topic lessons and during our Literacy sessions for the next few weeks. The children will be learning about his voyages and we will be finding out about some of the countries which he explored including New Zealand, Australia and Antarctica. In maths next week the children will be working with money again, this finding the change by working out the difference. Sports Day is on Tuesday 20th June. Children can come to school on this day wearing their PE kit with trainers and a t-shirt in the colour of their class team. 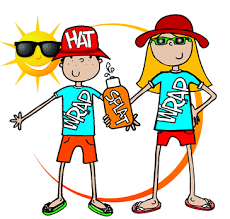 Please could you ensure that your child has a sunhat and water bottle for sports day and ensure that suncream is applied before school. Should you wish to reapply sun cream to your child for the afternoon, please feel free to do so once we have come out onto the field and the children are lined up ready for their activities. Miss Horsepool’s class will still be swimming on Sports Day so please could they bring their swimming things. Now that the weather is hot and sunny (and we hope it lasts!) please could you ensure that your child brings a sun hat to school every day. Children are out in the fresh air for playtimes and lunchtimes as well as learning outside so it is important that they are protected from the sun. We do have a small supply of spare hats which children will wear if they forget theirs. Please could you also ensure that suncream is applied everyday before school. Please note that Sports Day is next week – on Tuesday 20th June. Please see the attached letter for more details. Children may come to school on this day wearing their PE kit. We have just begun a new topic all about The Sea. We shall be learning about Captain Cook and his voyages during our lessons and through activities in the Discovery Zone. Next week is EPIC week! Children in Years 1 and 2 will be working in mixed groups doing different activities with different teachers each day. On Friday afternoon we shall be holding a whole school celebration on the field with dancing and ice creams. Teachers have allocated children a different activity each day which will give them the opportunity to try lots of new things including cooking, art, science, coding, dance, tag rugby and playground games. Your child should now have brought home a sponsorship form for our sponsored swim during the last week of June. You are invited to come in and watch your child swim if you wish. Please note, that Miss Horsepool’s class will be holding their sponsored swim the week after on Tuesday 4th July from 9.15-10.30am. Our infant sports day is going to be on the afternoon of Tuesday 20th June. More information will be to follow.